Chemical-free is a term used in marketing to imply that a product is safe, healthy or environmentally friendly because they only contain natural ingredients. What Zen a Lotion Bar products contains no flavorings, coloring, paraffin, phthalates, parabens or sweeteners. Palm oil is a type of vegetable oil which is high in saturated fat, presenting health concerns. Because many countries don’t label Palm Oil consumers are blinded to the fact that many of the products they are buying contribute to unprecedented disaster to thousands of kilometres of pristine rainforest slashed and burned in order to make way for oil palm plantations. 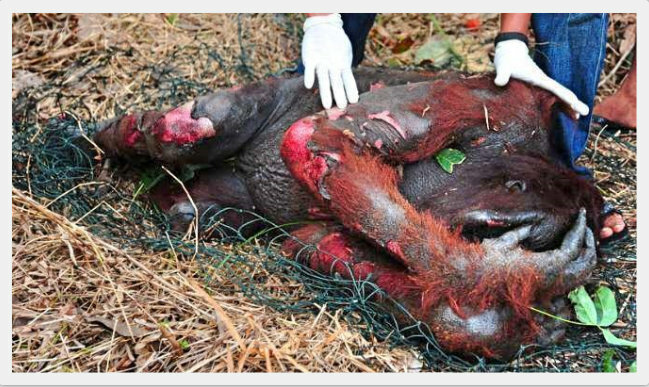 Many orangutans and other animals are killed in the process for the production of palm oil used in many of our everyday foods and products. This large-scale deforestation is pushing orangutans to extinction, along with many other native species of Borneo and Sumatra. The list below consists of well-known products that contain crude palm oil as well as a list of products that contain ‘sustainable’ palm oil. That way you can have the choice whether to buy them or not. Phthalates are mainly used as plasticizers (substances added to plastics to increase their flexibility, transparency, durability, and longevity) because phthalates cling to the skin and nails to give perfumes, hair gels and nail polishes, etc. more staying power. Much of the current research on effects of phthalate exposure has been focused towards children and men’s health, however, women may be at higher risk for potential adverse health effects of phthalates due to increased cosmetic use. It’s been proven phthalates damage the liver, kidneys, lungs and reproductive systems in animal studies which can be absorbed through the skin or even inhaled. Parabens are a class of chemicals widely used as preservatives by cosmetic and pharmaceutical industries and studies show that parabens are potentially dangerous and have been linked to reproductive cancer in both men and women so I have chosen to take the precautionary route and not use products containing them. Paraffin is a petroleum product, it’s a white or colorless, soft solid that is used as a lubricant and contains the following chemicals: acrolein, benzene, ethanol, formaldehyde, dibutyl phthalate, diethyl phthalate, toluene, styrene, benzene, ethyl benzene, naphthalene, benzaldehyde, didecyl phthalate, and acetone. It’s about 9 times less expensive than beeswax so you’ll find it in most of the inexpensive over the counter products and candles. The difference between many of the other over the counter products you’ve been using is What Zen a Lotion Bar products are Organic 100% Natural, chemical free ingredients. They makes all the difference in the world!